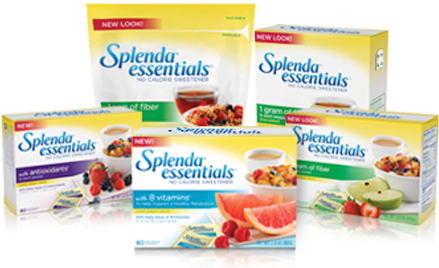 Splenda has a new sweetener line – Splenda Essentials. These come in 3 varieties: B vitamins, antioxidants, and fiber. Visit Splenda to request your free sample (not available in fiber). Limit 2 entries per person. Please allow several weeks for delivery. Now you can make everything you sweeten a little bit better for you with SPLENDA® ESSENTIALS™ Sweetener Products! It’s the same great taste you love, plus a small boost of healthy nutrients–B vitamins, antioxidants or fiber. Get your free sample and try it today!